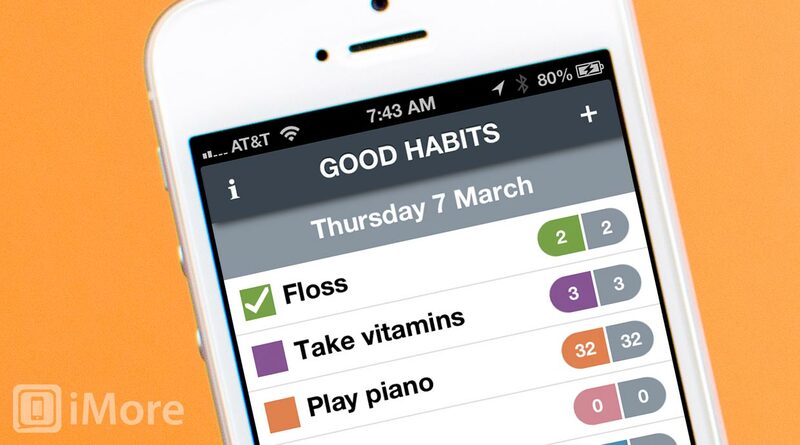 Good Habits by Good To Hear is an iPhone app that helps you build habits by doing something every day. It features a colorful interface that keeps track of your current and past chains of success. 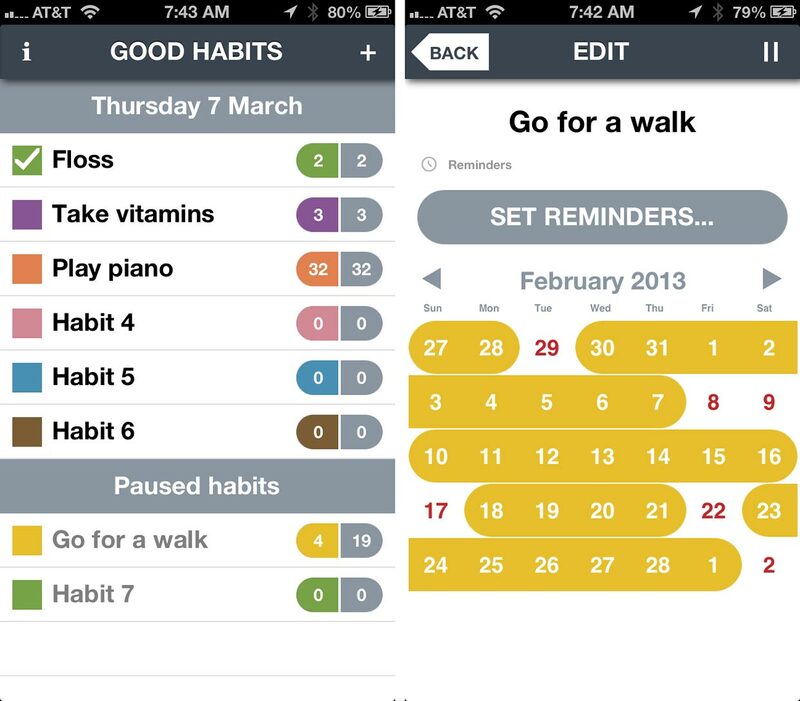 Your habits are displayed as simple list, each with a different color (up to 6 colors). Associated with each habit is two numbers: the first one represents your current streak, and the second one is your longest streak. When you perform your goal, simply check the box and it will automatically add a day to the chain. If it's your first time using the app and you've already have been doing something for a period of time, you go can tap the dates on the calendar that you succeeded, or dragging your finger across dates will quickly create a chain. 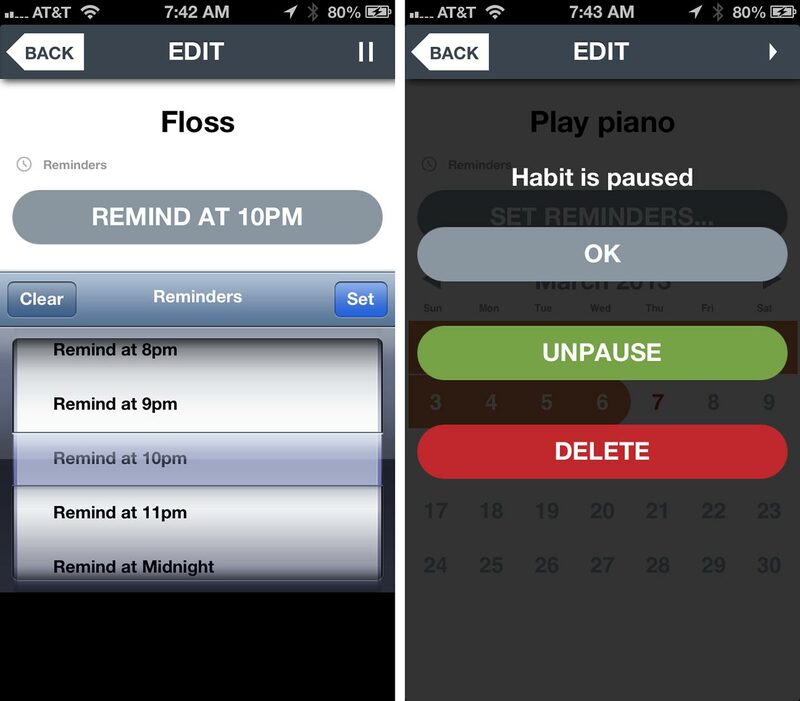 Good Habits supports Reminders, but doesn't let you choose a specific time for them. Instead, you are give a list of 24 options, all of them on the hour. If you know you're going to be unable to do a habit for a couple days (say, due to travel), then you can pause it without breaking your chain. Simply hit the pause button; this is also how to delete a habit. Interface doesn't adjust when switching to landscape. I think Good Habits isn't supposed to support landscape and there's a bug. We all have good intentions when it comes to being consistent with something that will positively impact our lives, whether it's flossing our teeth, practicing an instrument, or quitting a bad habit, but it's easy to get caught up in our busy lives and tell ourselves that we'll do it "tomorrow". And when tomorrow comes, we say "tomorrow", again. Good Habits may be exactly what you need to stay on top of your goals and be motivated to keep going. It's like a game -- don't break your streak!